Do you have an account with Lakshmi Vilas Bank? Have you activated net banking for your account? You must activate the Net Banking services for your account if you wish to obtain flexibility in accessing the banking facilities and keep the real-time track record of your account. The internet banking services offer multiple benefits to the account holders. You need to visit the branch to activate net banking services for your account. After activation, you will receive a confirmation SMS. You will also receive the internet banking Login Password and Transaction Password via mail. You need to login to your Net Banking account to access the services. If you are logging for the first time and have no idea about the process, you need not get worried! Following simple steps, you can log in and access the services online. After receiving the mail containing the Passwords, you need to send an email requesting to activate the User ID. Send the email to activateinet@lvbank.in from the registered email id with the bank. After receiving the mail from your email ID, the bank will activate the net banking services for your account. Important Note: Makes sure to check the PIN mailers whether the packet is sealed or tampered. If the packet is tampered then immediately return it to the Internet Banking Cell, as well as, report about the case to supportinet@lvbank.in. Visit the official site of Lakshmi Vilas Bank for net banking. The Customer ID is the Login ID to access the service. 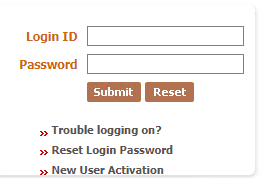 Enter the Login ID and Login Password in the provided boxes. The system would prompt you to change the password if you logged in for the first time. Now, you can access the net banking services for the account and make transactions or access other facilities. Important Note: Change the Login Password as well as Transaction Password for safety reasons. Log out every time after completion of the work. Maintain secrecy of the User ID and Passwords. To unlock your user id, please send an SMS 'LVB ULK USER ID' to 9282441155 from your registered mobile number. Sir change the mobile number in lakshmi vikas bank my old number 8698122157 through net banking..
What are The Cheque Bounce Charges in SBI Bank?